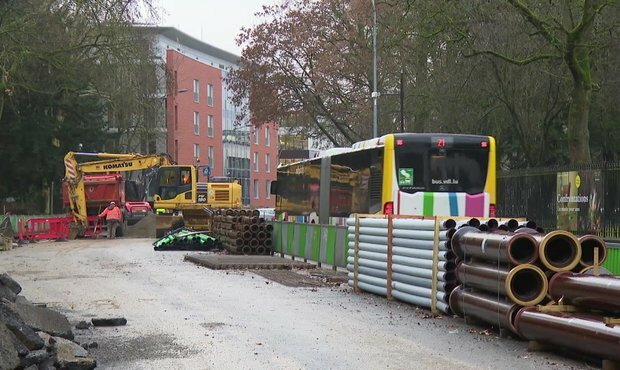 Luxembourg's parliament, the Chamber of Deputies, will hold a debate on several big infrastructure projects in Luxembourg on Tuesday afternoon. Luxembourg's MPs will have to give their approval to finance around 30 new infrastructure projects. Most of these projects are lead by the roads and bridges department (Ponts-et-Chaussées) or by the road improvement fund (Fonds des routes). - The expansion of the tram network to the Findel airport and to the Route d'Arlon in Strassen. - The construction of a bus lane on the A7 motorway between Waldhof and Kirchberg. - The construction of a new Park&Ride parking lot in Héienhaff close to the airport with up to 4,000 parking spaces and access to the tram system. - A "fast tram" on the A4 motorway between Esch-sur-Alzette and Luxembourg City with a new bike lane running alongside the motorway.